I created this image as a test before beginning my other "imagined neon" project, but decided I enjoy it enough for it to deserve it's own spot in the gallery. 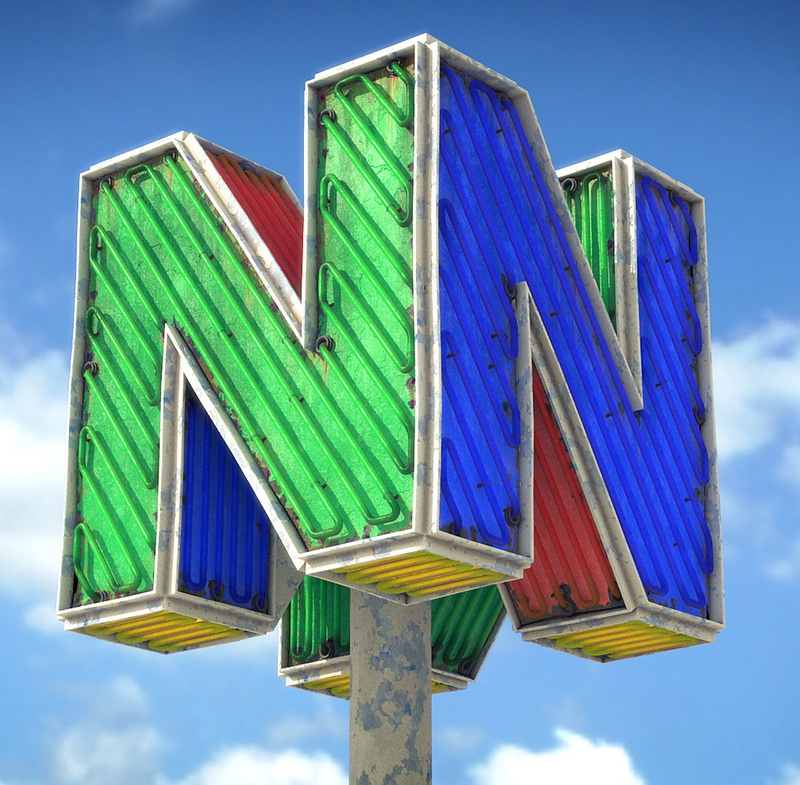 I love the aging look of vintage neon signs, and wanted to combine that look with my love of geek culture. 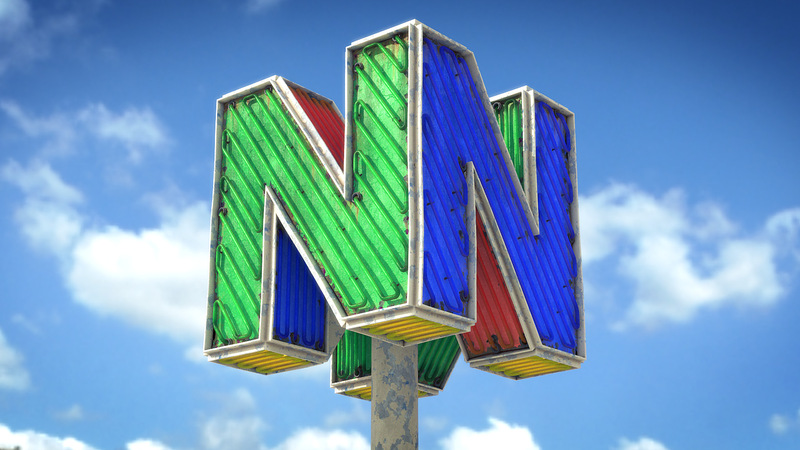 The three-dimensional N64 logo seemed like a great candidate, since it was such a huge part of my childhood and remains to be today! Check out the my other Gigantic Neon Sign project description for more details on my inspiration and process.